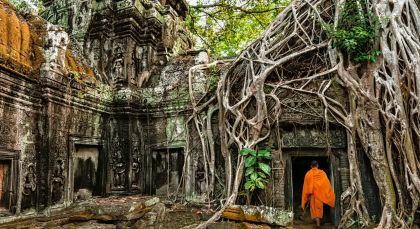 Discover the lesser known delights and hidden jewels of Cambodia on this tour. Unearth the magic of quaint provincial life, walk in rolling grasslands and pine forests, and spot the playful dolphins of the Irrawaddy. 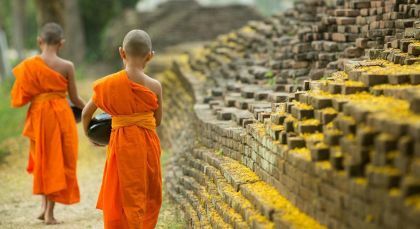 Learn the fascinating customs of indigenous people and end your Cambodia vacation on the dreamy beaches of Koh Rong. Discover the hidden secrets of the UNESCO World Heritage site of the Sambor Prei Kok temple grounds on this exciting half day trip. The Isanapura temple complex of Kampong Thom, as it is popularly called, pre-dates the famous Angkorian era of Cambodia. 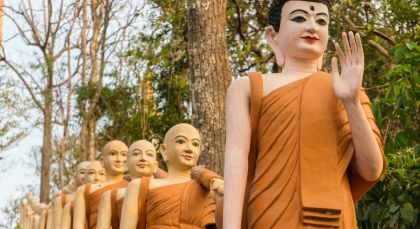 Set off early in the morning for this 7th century capital of the Upper Chenla region, which lies amid the Tonle Sap Lake and the Sen River. Expect to encounter the ancient ruins of nearly a 100 brick temples scattered among a thick tropical forest. Drink in the mysterious ambiance of the ruined jungle complex, as if taken right out of a boy’s adventure story. After exploring the temple grounds and the surrounding jungles at a leisurely pace, return to your hotel. (Half Day; Time of Day: Morning; Duration: 4 hrs; Private Activity; Please carry insect repellent and clothes that cover arms & legs). Kratie, pronounced kra-cheh, is one of four provinces in northeastern Cambodia. Located far enough away from popular destinations to attract the crowds, due to its relatively remote location, it is an interesting spot if you are looking for some tranquility. Wake up to an early breakfast this morning and then head out on 40 minute drive to visit the rare Irrawaddy dolphins of the Mekong River. Your guide will accompany you to a private boat for a short ride out to the area where the dolphins swim and play. Around 60 dolphins are found in this area, and your guide will be sure to help you spot some. A majestic and quiet stretch of water, you may also glimpse rare birds and see fishermen cast their nets. Later, witness locals play football at the grounds or sell their wares at the strategically placed market. If you wish, stop for a taste of local flavor at the market. Afterward, discover the small town of Kratie, a former colonial town with a French style promenade and colonial buildings. A walk through the local market later, stop at the small pub street for lunch. Later, board your boat and return to your hotel for a cycle ride through rice fields and villages. 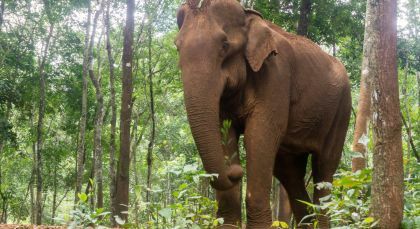 Mondulkiri, otherwise known as a the ‘Meeting of the Hills’, is located within the eastern highlands of Cambodia, and it is not only the country’s largest provinces, it is also the most sparsely populated and boasts a uniquely cool climate – in fact it can get chilly at night. 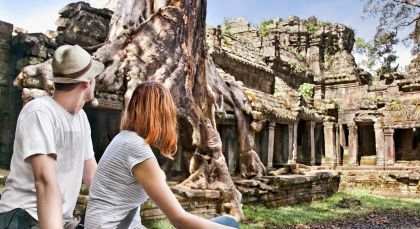 Explore the finest examples of Khmer architecture with this marvellous city tour. 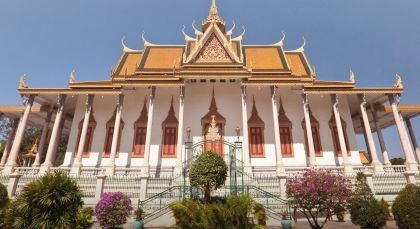 The Royal Palace is a grand building overlooking a tranquil plaza and still houses Cambodia’s royalty, King Sihamoni. On the south side of the palace lies the Silver Pagoda, which is aptly named as it has been crafted out of 5,329 solid silver tiles. Wander along to Wat Preah Keo Morakot, the Buddhist temple where Royal ceremonies are performed, or Wat Phnom, the namesake of the city. You can also visit The National Museum, which houses many fascinating and historical relics, and King Ang Duong Stupa, the burial site of King Norodom Sihanouk, the 20th century monarch. To respect local customs, please dress conservatively. Bask in the relaxed charm of Kampot! 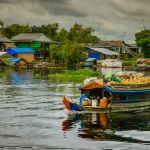 Nestled deep in the south of Cambodia, the many historical buildings of this city offer insight in a bygone era of French colonialism. Spice up your day with visit to the Starling Pepper Farm and learn how the region’s most popular product is grown and processed. Spend a fruitful time at the farm learning more about the best climate and soil for growing the plant, the way it is harvested and its historical reach across the globe. Savor a delicious afternoon meal generously prepared by your farm hosts, with rich aromatic Kampot pepper. Share the table with your local hosts and farm hands, learning more about all things peppery! What Kampot is really famous for, is its salt fields. Visit the Cambodia Salt Production Centre just outside of Kampot, set right on a salt field. Learn how salt crystals are processed from seawater, the best times for production (not during the rains! ), and how the salt factory finally prepares and packages this essential food product throughout the land, discovering the fascinating history and heritage of the region in the process. (Full Day; Private Activity & Transfer; Duration: 6 hrs; Fitness Level: Easy; Please bring comfortable walking shoes). 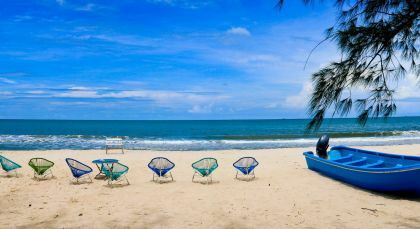 Discover the jewel in the crown of Cambodian beach paradises! Beautifully framed by soft, snowy sand, the gentle waters of the Indian Ocean turn from emerald to turquoise and radiant blue, as the seasons change in the Gulf of Thailand.